Zach and Kelly are BACK! Well, for now. Turns out we haven’t just been sitting by the beach instead of recording podcasts – we’ve been writing a book! 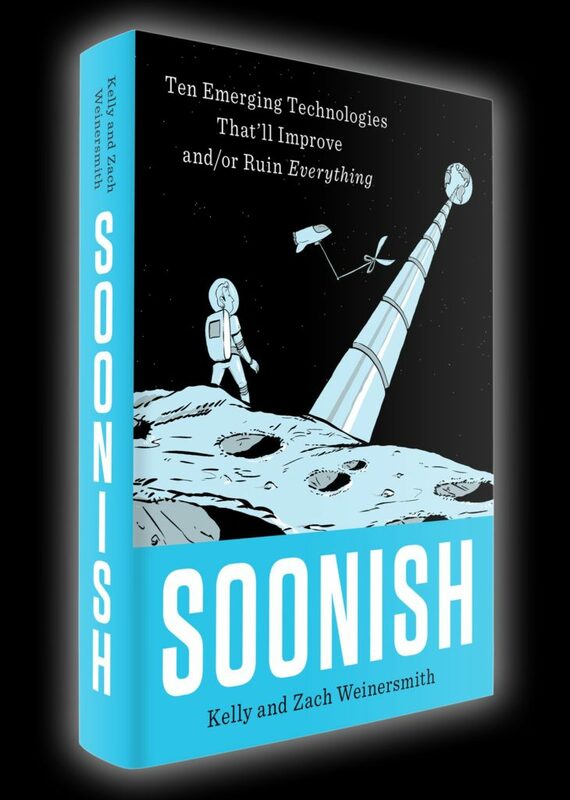 That book is called Soonish – Ten Emerging Technologies That’ll Improve And/Or Ruin Everything, and it’s coming out through Penguin Press in the US and Particular Books in the UK on October 17th. This episode gives you a flavor of what the book is about, and some insights into the harrowing tale of what we went through to write this book while working our “normal” jobs and raising 2 kids. You can preorder the book here. This episode is a preorder reward! 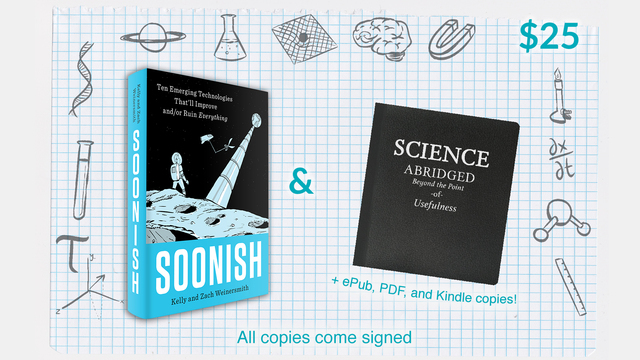 As we sell more preorders we release additional rewards, including extra SMBC comics, signed bookplates, and Soonish bookmarks. Check out the reward page for more information. This entry was posted in Podcast and tagged Soonish on May 14, 2017 by KWeinersmith. This week Zach and Kelly talk about National Institute of Health (NIH) funding practices, and the increasing administrative burdens placed on academic scientists. Does the NIH (National Institute of Health) support the best researchers? This entry was posted in Podcast on January 10, 2013 by KWeinersmith. This week Zach and Kelly discuss how the way one responds to stressors can have long-lasting implications for health, and recent research on a link between a rare gene variant and Alzheimer’s disease. Round 3 of the #SciFund Challenge has begun! This entry was posted in Podcast on November 17, 2012 by KWeinersmith. Today Zach and Kelly talk to Dr. Jordan Miller, a postdoctoral student in Dr. Christopher Chen’s Tissue Microfabrication Lab at the University of Pennsylvania, about his recent breakthrough using 3D printing to create blood vessels. This entry was posted in Podcast and tagged 3D printing on August 1, 2012 by KWeinersmith. 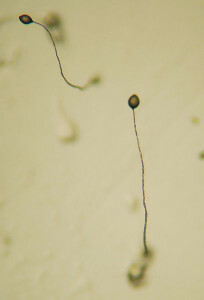 On this week’s episode Kelly and Zach talk to Dr. Ryan Earley about why so many species reproduce sexually rather than asexually. We then talk to Elizabeth Lee and Robert Denton, whose #SciFund projects focus on animals with uncommon reproductive systems. This entry was posted in Podcast on May 23, 2012 by KWeinersmith. This week Kelly and Zach speak with Dr. R. Douglas Fields about his book “The Other Brain”. Below is a really amazing talk by Dr. Fields. It is not related to glia, but it’s so awesome I had to post it anyway. This entry was posted in Podcast on March 21, 2012 by KWeinersmith. Zach and Kelly interview Dr. Elizabeth Iorns about Science Exchange, an online marketplace connecting scientists and laypeople to research facilities. This entry was posted in Podcast on March 16, 2012 by KWeinersmith.